It seems like months since our boat arrived in Brisbane yet it’s only a few weeks. 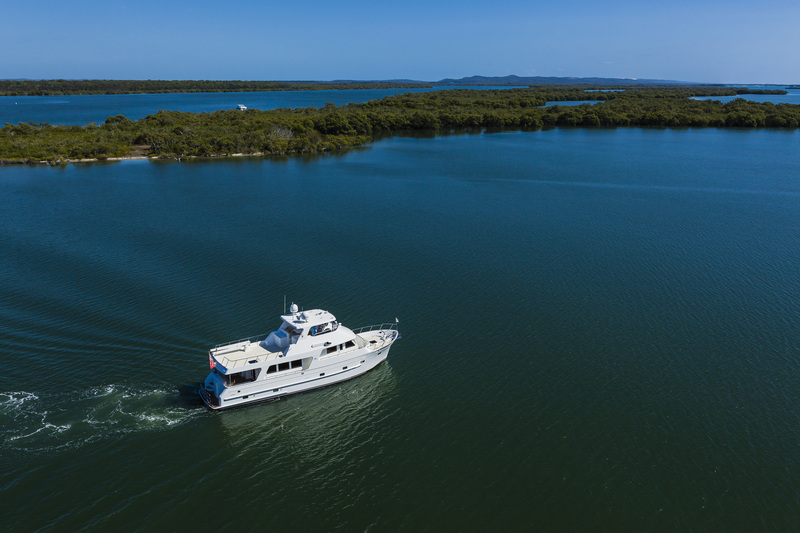 We’ve been so busy trying to absorb it all what with the importation process, pre-delivery works, the boat show, photos taken from the chopper for the magazine and the transfer of the boat back to our marina in Brisbane, a lot has happened. This weekend, Shelley and I finally got to spend time aboard our new boat, on our own, at our marina. We have started a deep clean from top to toe as we find that this is the best way to assess the workmanship and finish on any new purchase. We just wanted to say how impressed we both are. The further we delve into this boat the more evident it becomes that this is a very well constructed and finished boat in which there does not appear to be any shortcuts taken. We have not found anything that says “cheap and nasty”, to the contrary we are impressed with the quality and integrity of the fittings and componentry utilised, and that everything seems to have been done the right way rather than the easy way. Congratulations to Outer Reef and Tania Yachts on a job well done!